LOVELY ORIGINAL ACRYLIC PAINTING "Dorset Forest". BY THE FABULOUS ARTIST DAVID ALDUS. 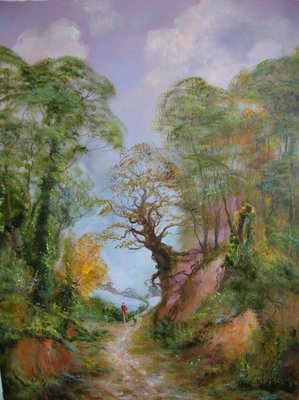 This Lovely painting was completed in Dorset woods. (Highest price received for one of his paintings is £14,000 !! "Lot's Wife" Absolute investment opportunity!) Measurements height 23 inches by 17 inches.